Son of William and Mary Ellen Goodier, of 101, Middlewich Rd., Northwich, England. Source: The Toronto World. December 8, 1915. Special to The Toronto Word. 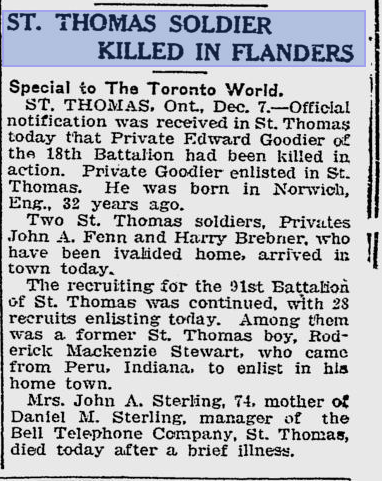 ST. THOMAS, Ont., Dec. 7.– Official notification was received in St. Thomas today that Private Edward Goodier of the 18th Battalion had been killed in action. 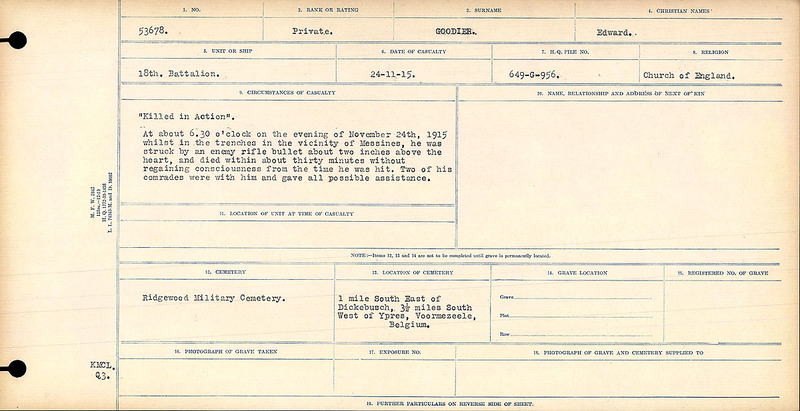 Private Goodier enlisted in St. Thomas. He was born in Norwich Eng., 32 years ago. 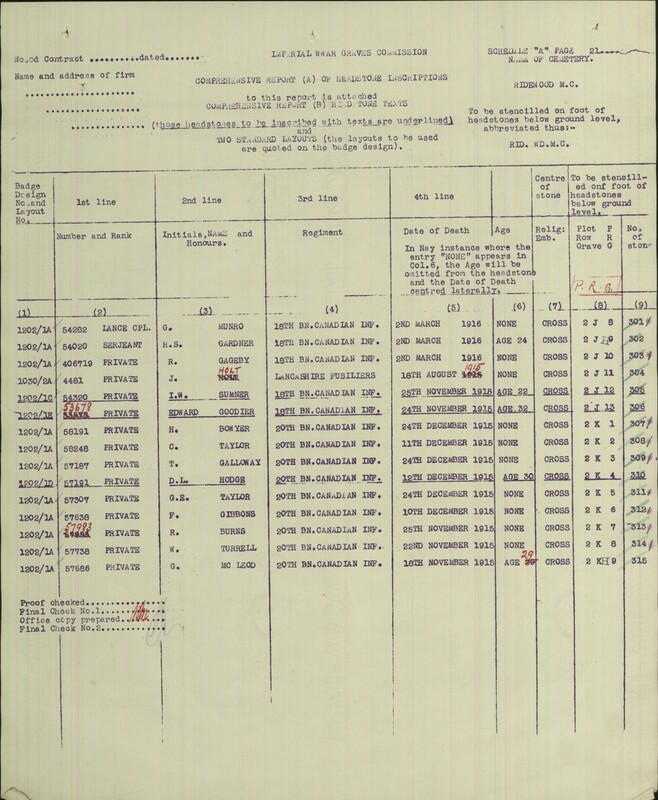 Two St. Thomas soldiers, Privates John A. Fenn and Harry Brebner, who had been invalided home, arrived in town today. The recruiting for the 91st Battalion of St. Thomas was continued with 28 recruits enlisting today. 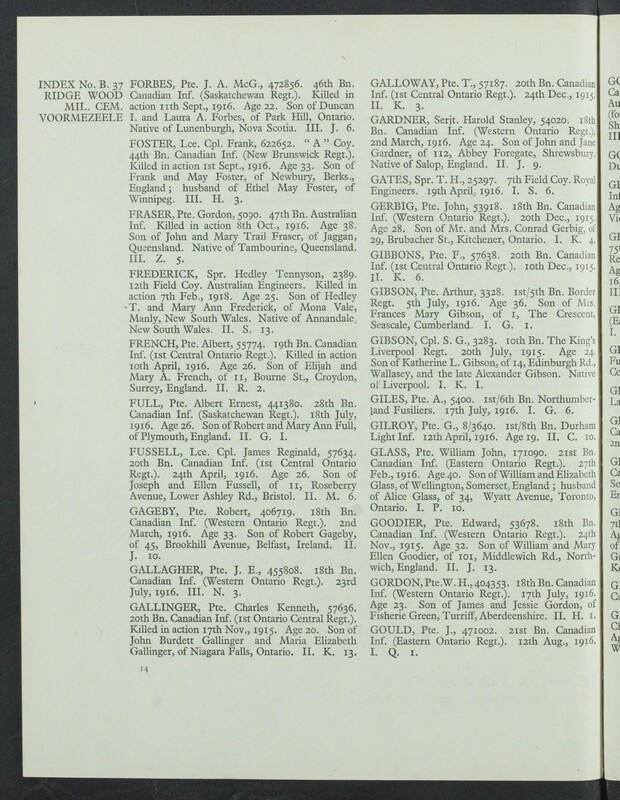 Among them was a former St. Thomas boy, Roderick Mackenzie Stewart, who came from Peru, Indiana, to enlist in his home town. Mrs. John A. Sterling, 74, mother of Daniel M.Sterling, manager of the Bell Telephone Company, St. Thomas, died today after a brief illness. Source: Source: The Toronto World. December 8, 1915. 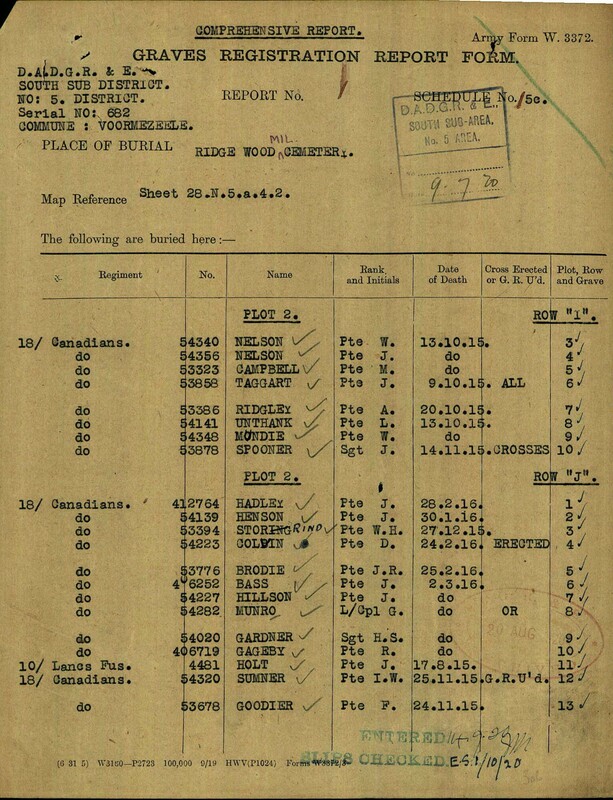 “Killed in Action”. 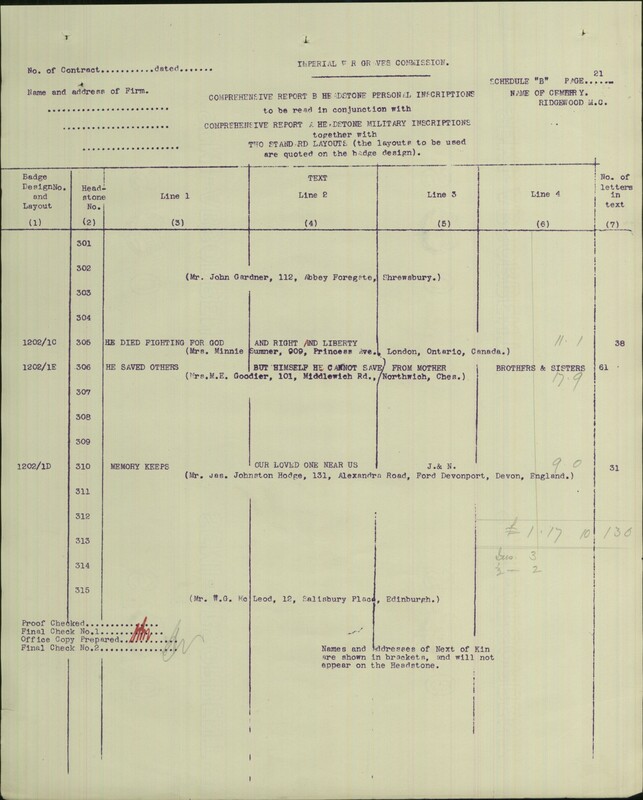 At about 6.30 o’clock on the evening of November 24th, 1915 whilst in the trenches in the vicinity of Messines, he was struck by an enemy rifle bullet about two inches above the heart, and died within about 30 minutes without regaining consciousness from the time he was hit. Two of his comrades where with him and gave all possible assistance.